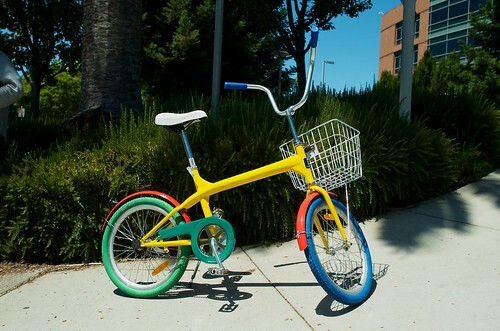 Last year during a visit to Silicon Valley, took photos of the Google Bikes. Googley, using novel components, structure, and appearance. While popular, the small bikes were uncomfortable for taller cyclists. To us and likely you, the new bike looks like an average city bike. Still, campus-wide bikes are something we can’t criticize. 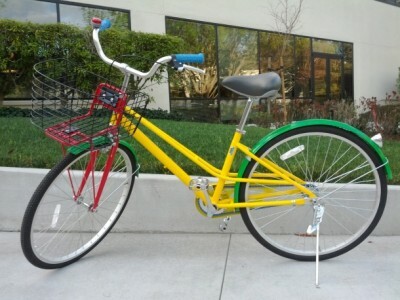 Confirmed with Republic bikes today that they built these bikes for Google. Next Next post: Pop Quiz: How are David Guetta’s video and a Huffy alike?